First published in 1931, Egyptian Tales and Romances examines the historical and religious romances of the Egyptians from the early dynastic period to the twentieth century. 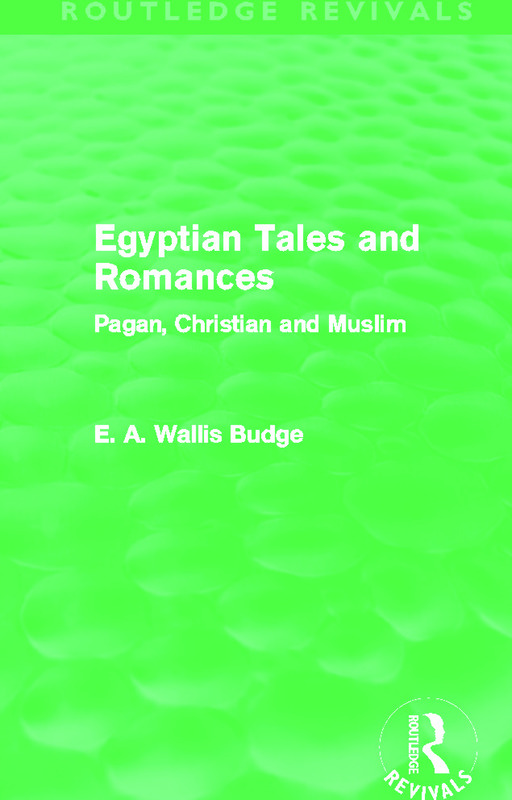 Budge demonstrates Egypt’s transition from Paganism to Christianity, and finally to Islam, through tales and stories carefully transcribed and translated. Part I contains historical romances written on papyrus and stone, whilst parts II and III are derived largely from Coptic and Muslim manuscript sources. Including detailed illustrations and photographs, this fascinating classic work will be of interest to academics and students of Egyptian folklore, archaeology and history, as well as the general inquisitive reader.